While the relationships between economic trends and precious metals prices often make sense, sometimes obscure events can move these prices counterintuitively. Several trends impact the movement of metals. If you advise clients to maintain an allocation to precious metals, you probably monitor economic events that can impact these positions. But while the relationships between macroeconomic trends and the prices of precious metals often makes sense, sometimes relatively obscure, counterintuitive events can move these prices unpredictably. To help clients (and advisors) best appreciate the tricky situation, Mike McGlone, director of U.S. research for ETF Securities in New York, breaks down four factors that are most likely to make the metals move. The primary mover for all metal prices is the value of the U.S. dollar, McGlone explains, because they’re all priced in U.S. dollars. It’s an inverse relationship: If the dollar decreases in value, the price goes up for all commodities priced in U.S. dollars, most notably metals. But, if the price value of the dollar increases (as it’s been doing lately), then it can have a bearish impact on the individual metal prices. The dollar’s recent increase has provided “a little bit of a headway lately,” McGlone says. Investors often view precious metals as a store of value against the loss of purchasing power from inflation and currency devaluation. But holding metals involves the opportunity cost of giving up returns from other assets. If that anticipated opportunity cost is low, investors are more likely to consider precious metals, which are a pure price play, says McGlone. Earlier this year, the U.S. 10-year Treasury note’s yield was about 3%; by early September, the yield was below 2.5%. Two-year rates on German notes had gone negative a year ago, before recovering to essentially a zero rate by September. These low rates reduce the opportunity cost to hold metals, he says. “When your money, your paper money in a vault or anything, is earning very little, you have a lot more incentive to hold a storage of value asset like gold or silver, which technically are considered currencies,” the metals expert explained. Given the expected eventual tightening from the Federal Reserve, should investors assume that precious metals’ prices would inevitably fall? The last tightening cycle started on June 30, 2004, when the Fed raised its target discount rate by 25 basis points to 1.25%. 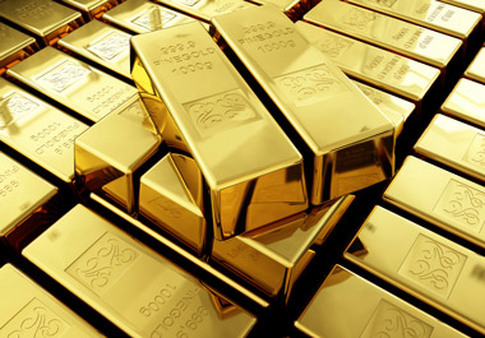 The Fed continued to raise rates for two years, but during the period, the price of gold rose 50%, he notes. There are several possible explanations for that behavior, according to McGlone. The first is the metal’s low price — about $395/ounce — when tightening started, making it an attractive value relative to the alternatives. Toward the end of the tightening cycle, he explains, the housing market collapsed, and investors were seeking alternative assets, including gold. Consequently, he cautions, while gold might sell off in a short-term kneejerk response to anticipated higher rates, other economic factors can offset that response over time. Investors also need to consider metal-specific drivers. Palladium, for example, is up about 25% through late August. The reason cited in an ETF Securities’ report is the heightened level of tensions between Russia and the Ukraine. “Russia is palladium’s biggest producer with 42% of production and potential trade sanctions to be imposed against the country could substantially disrupt supply of the metal,” the report points out.